Center for Auto Safety petitions government to look at sudden unintended braking in Rogue SUVs. 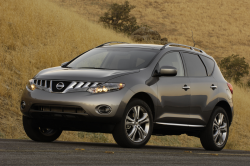 March 21, 2019 — Nissan Rogue AEB (Automatic Emergency Braking) malfunctions have caused the Center for Auto Safety (CAS) to petition the government to open a defect investigation into the feature. Nissan Rogue drivers complain their SUVs suddenly brake even though no obstructions are in front of the vehicles. According to the Center, there have been nearly 90 complaints from Rogue drivers who said the AEB systems activated as if objects were in the roads. In some cases, owners decided to deactivate the AEB features to prevent unintended activations, therefore leaving those drivers without an important safety feature. The Nissan Rogue AEB system provides visual and audio warnings to drivers to slow down if a crash is about to occur by using radar sensors and cameras to monitor traffic and objects ahead. 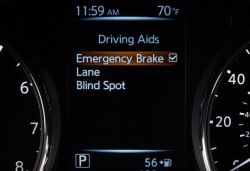 The Rogue is supposed to automatically brake if a driver ignores the warnings. Nissan certainly knows about problems associated with the AEB systems because technical service bulletins (TSBs) have been issued to dealerships in case 2017-2018 Rogue owners complain about the systems. In 2018 Nissan issued TSB NTB18-041 concerning the “Unexpected Operation of AEB, FEB OR FCW” in 2018 Rogues, Rogue Hybrids and Rogue Sports. Nissan then updated the bulletin (NTB18-041a) to include 2017 models, warning dealerships that customers were complaining about AEB malfunctions. The TSBs inform dealers about making repairs that consist of either replacing or reprogramming the laser radar control units. 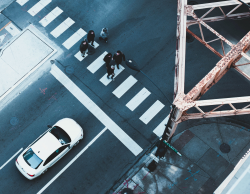 This was followed by two "Quality Actions" and a "Customer Service Initiative" intended to "increase awareness of an available update for the Automatic Emergency Braking (AEB) system." 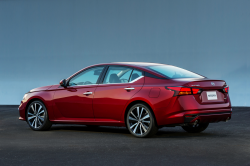 But according to the petition filed with the National Highway Traffic Safety Administration (NHTSA), Nissan should have skipped the bulletins and other actions and instead recalled the vehicles to properly fix the problem for all Rogue owners. With more than 400,000 Nissan Rogues sold in 2017 and 2018, the automaker has allegedly treated the AEB malfunctions as service issues instead of safety problems, something NHTSA may be able to remedy by opening an investigation. NHTSA says it will evaluate the petition and determine if a formal investigation is warranted. In addition to the defect petition filed by the Center for Auto Safety, Rogue owners have filed class action lawsuits alleging the AEB systems are full of defects. In a lawsuit filed in Tennessee, multiple Nissan models allegedly are equipped with defective automatic emergency braking systems. 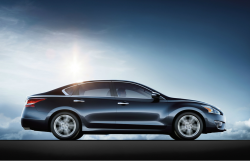 And in a second class action, this one filed in California, customers allege the AEB systems malfunction in Altima, Armada, LEAF, Maxima, Murano, Pathfinder, Rogue Sport and Sentra vehicles. CarComplaints.com will update our website with results of the defect petition. Until then, check out what 2017-2018 Rogue drivers say about brake problems in their SUVs.